Employers find a winning formula for success in Lawrence County. A business-friendly community that invests in the future, Lawrence County has been fertile ground for companies like Modine, Dura Automotive, Graphic Packaging, Hughes Parker Industries, AOC Metal Works, Southern Craft Manufacturing, 3D Systems and Bertolini. These industries find success within a large pool of local supplier companies like Lorik Tool, DRM LLC, Cornerstone Rack & Tooling, InMotion Robotics, and many others that offer a variety of services and products that keep the cost of doing business competitive. Some are recent additions to our industrial community; others have enjoyed decades of success and growth. 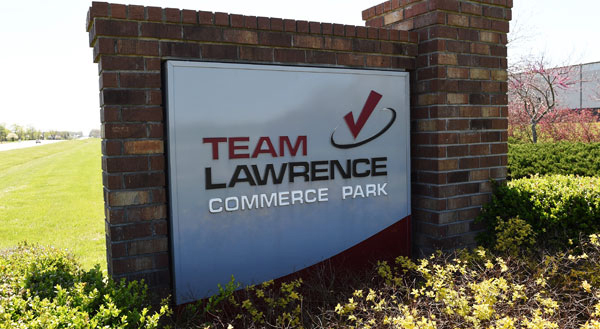 Forward-thinking leaders prepared for the future with Team Lawrence Commerce Park (TLCP), which contains two Tennessee Select Certified Sites totaling 105 available shovel-ready acres and a maximally configurable 60,000 square foot speculative shell building. TLCP is served to the North, South, East and West by two interstate-caliber, four-lane divided highways (US 43 and US 64) and has immediate access to the Tennessee Southern Railroad. FedEx became the park’s first tenant with a regional FedEx Ground warehousing and distribution facility. Another distinction for Lawrence County is the abundance of providers of third-party logistics services. South East Carriers, All-Source Logistics and Sharp Transport, all based here, give manufacturers locally sourced shipping, just-in-time and just-in-sequence solutions to get materials and products to and from their facilities and to their customers. The Tennessee Valley Authority (TVA) reliably meets the electrical needs of all users, big and small. Multiple gas providers and multi-million gallon excess water and sewer capacities make us particularly attractive to high-volume users. Partners including the State of Tennessee Department of Economic and Community Development and the Tennessee Valley Authority help Lawrence County and its municipalities tailor economic development incentive packages to companies that provide quality job opportunities for our citizens. This is true for existing industry expansions and new company locations alike. Lawrence County is also home to two firms with nearly 100 combined years of experience in industry construction. Doss Brothers and Evers Construction offer reliable and cost efficient services to build new facilities or modify existing ones. The Lawrence County School System works closely with local industry to make sure its programs help prepare students for success in today’s job market. The presence of a two-year community college and partnerships with the Tennessee College of Applied Technology means any training needs can be easily met. Visit our Workforce page for more information. Shovel-ready industrial sites, easy access to major population centers, great logistics services, strong utility infrastructure, incentive packages and a well-trained workforce are the ingredients that make Lawrence County the perfect partner for any company’s successful future.